Four months had passed since her two-wheeler accident. Her fracture was recovered, scars healed, bones in place but confidence lost. She walked short distances or took public transport. She would get car rides from her friends or cab rides at other times. But, she refused to do something which made her feel alive. She refused to ride. She refused to speed. She refused to fly. She became quieter, sadder and afraid. That day became a turning point in her life. It was the day of her medical examination. She had spent years preparing to be a doctor and this day was going to be the decider of her future. She left from her home. There was a bus and rickshaw strike that day. So, she decided to go by cab. She spent another 15 minutes going from one app to another. But, unfortunately, she couldn't find a cab because all were occupied. Walking was not an option because that would take over an hour. She was already running behind time. She was tensed and didn't know what to do. 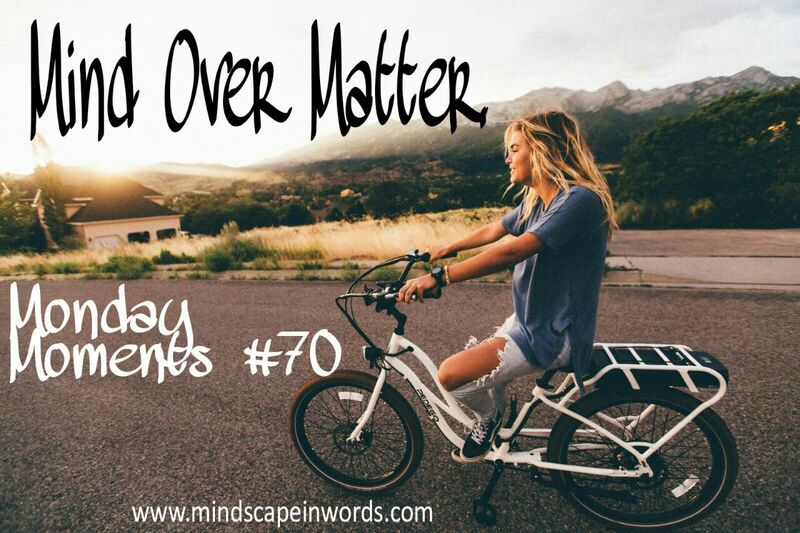 Her inner self knew what she should do but her fears were towering over her conscious. To achieve her dream, she needed to overcome her fear. She needed to ride her bike to get to the examination hall. She just needed to trust her gut and go for it. Finally, she decided to what her heart was saying. She went back home, took the keys and started her bike. She was scared about riding more than she was about taking her exam. She started riding, slowly and double checking everything. As she went halfway, she wasn't doing it anymore. She was shocked to find herself smiling. 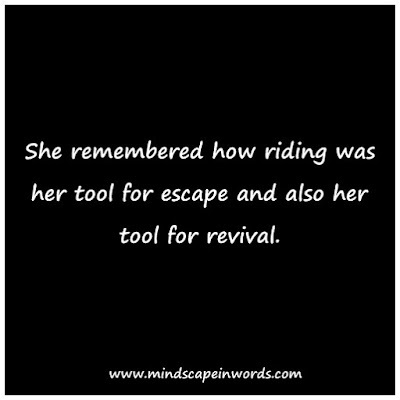 She was enjoying herself like she always did when she rode. Somehow she found herself and became the wild force she had always been. She was still afraid to drive at 80, but she remembered how pleasant it felt. 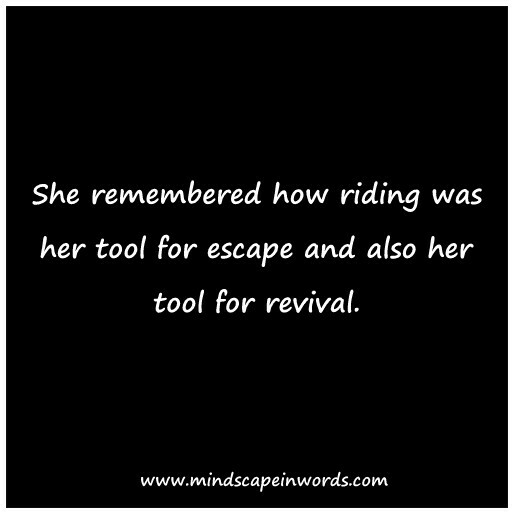 She remembered how it was her tool for escape and also the tool for revival. She reached her medical examination in time, but she had already passed the real exam. Thank you for sharing this. So motivational for a monday! Great imagery in this little tale. Haven't we all been this girl at some point or another? Very inspiring. Such a good writing practice you have. Keep going, girl!